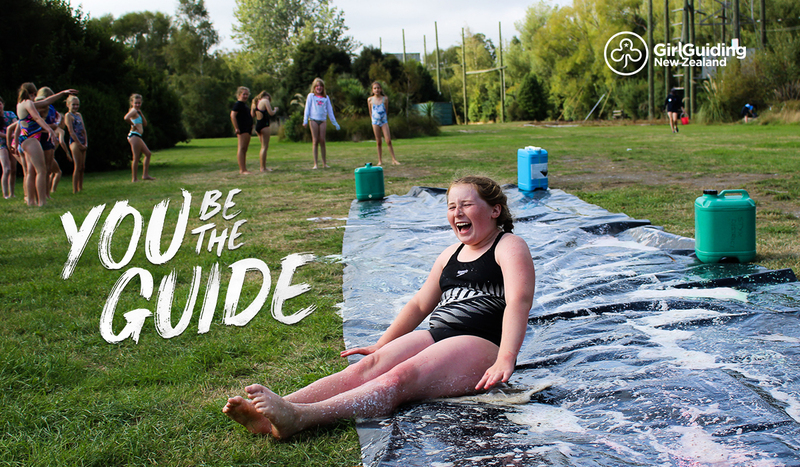 5 WAYS TO KEEP ACTIVE DURING THE SCHOOL HOLIDAYS | GirlGuiding New Zealand - You be the guide! The school holidays are officially on all around New Zealand, and we know it comes with a bittersweet feeling. On one hand, not having early school drop-offs is awesome, but on the other hand, how will you keep the kids entertained trying to limit their screen time. So as it happens, our girl members have great skills in keeping active and they have shared with us some tip on how to make these schools holidays fun, active and one to remember. Here are five ways to keep active during the school holidays and have loads of fun! Remember, 70% of young females (10–17 years) identified fun as their primary reason for taking part in sports, according to Sport NZ. We know *all eyes roll* at the word ‘Slime’, but this is a special kind of slime. Mix soap and food colourant spread all over a long plastic sheet and watch the kids slide. Guaranteed laughs. If the weather doesn’t play nice, have fun indoors building your own robot. There are heaps of tutorials online, we personally love the Wigglebot. If science is a hit in your household, go check our Robotics events coming up. Invite friends and throw a sports party in the park nearest your home. That’s one easy way of keeping the kids active and healthy. Plus, according to Sport NZ, 84% of New Zealanders believe essential life skills like teamwork and cooperation, are learned playing sports. If you’re in need of a quiet day, but don’t want to stay at home, explore your local library or parks. Most libraries have community programmes during the holidays for children AND adults. Find your local library here. Alternatively, you can have a lot of fun in your local community spaces. Rock climbing or bouldering venues, skating rinks, canoeing or walking in national or regional parks, there are heaps of options around New Zealand. Find parks near your area in the Department of Conservation website. « Superhero Students who bring more awesome to the world!